People often assume that decision-making is an activity that requires effort but not stamina. This is a very common misconception – mental effort is as taxing on the brain as physical workouts are on the body, and our mental resources are much more limited than we think. 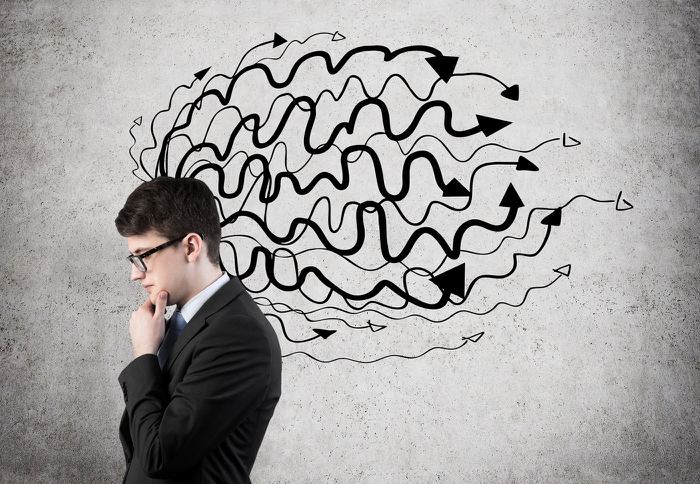 In psychology, decision fatigue refers to the deteriorating quality of decisions made by an individual after a long session of decision-making. We tend to not notice decision fatigue as easily as physical fatigue, though, because instead of making our muscles feel sore (or even giving us a headache), mental exhaustion manifests by hampering our very ability to notice mental exhaustion – it’s hard to notice your attention wandering when your attention is already being occupied with wandering around. This is also why drunk people don’t tend to realize that they’re drunk – because their cognitive capacities have been impaired by alcohol. Decision fatigue can seriously impact the performance of students and professionals alike – You might’ve scored an 80 on that test not because you didn’t know the material, but because only 80% of your brainpower was (and is) available. Or you might be feeling overworked because busywork is taking up 40% of your workday. It doesn’t matter how smart or how eager you are – if you’re only functioning at 70% on any given task, then for all purposes you will be seen and treated as if that was your limit. There are two ways to prevent yourself from overexerting your mental capacities and getting to the point of experiencing decision fatigue: The first is to manage your mental resources more efficiently, so you can spend more time being productive and less time doing busywork in an exhausted state of mind. The second is to know when to stop and rest by training your self-awareness through meditation, introspection, and regular self-monitoring. In this article, I will provide three actionable steps you can take to accomplish the former. Archive your emails asap! 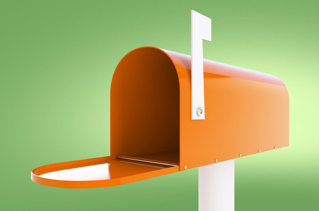 The only emails that should be sitting in your mailbox are ones that you need to do something about. The more emails you have sitting around, the more energy you’ll need to spend rereading and deciding what to do with them each time you check your inbox for new emails or relevant old ones. This adds up over time – if you receive 10 emails each day and skim over each one 3 times over the course of a week, that’s a total of 210 decisions each week. Alternatively, if you archive them asap, you’ll only need to make a total of 70 decisions about them ever. That’s a 2x difference right there. This idea doesn’t just apply to emails, though – anything you need to do that you let sit will continue to buzz around until you finally take care of it. That’s why it pays off to be on top of your game and take care of things asap: by putting in a bit more effort up front, you end up saving yourself much more mental stamina in the long run, which you can use to either be more productive or just kick back and relax. “Leaving things for later” by writing them down on your organizer only works if you actually do get back to them asap. Otherwise, the “procrastination tax” it imposes on your mental stamina will accrue like interest – 1% here and there can total up to 20% or more over time. Avoid spending more time procrastinating on a task than actually doing it. 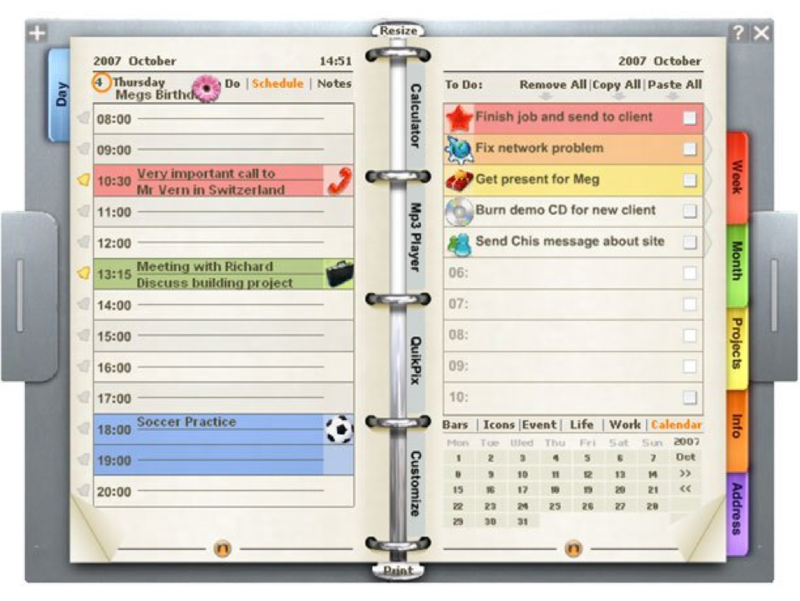 First, keep all of your tasks and notes on one system. It’s easy to miss things left and right when you have post-its lying around the house, reminders set on your phone, notes written down on your calendar, and emails marked as “important” in your mailbox. If checking all of your reminders takes as much time and effort as completing the tasks on them, you need a better tracking system. Second, if you can’t resolve a task immediately, split it into smaller chunks for later. No matter how daunting a task may seem, keep in mind that it will always involve only a finite amount of work. The more you do now, the less you’ll have to do later. Even the act of breaking it up and setting specific due dates for each step counts as progress. Don’t waste time “delaying” a task – it’ll only give you more work in the long run. Third, get into a habit of checking and clearing your organizer every day. Tasks in your organizer should be treated like emails in your inbox, and your zero inbox policy should apply here as well. Clear all of your tasks asap, or set them to return at a later date. Don’t let anything sit and fester. Absolutely everything. For you and for everybody you work with, no matter how small the task. Always. It’s too easy to toss something into the fog of ambiguity that is “later” and then forget about it, or have it constantly get bumped down by “other priorities”. If you need to get something done, always set a deadline for it. Assume that anything that can get pushed back will get pushed back. Treat “eventually” as “never” and avoid it at all costs. 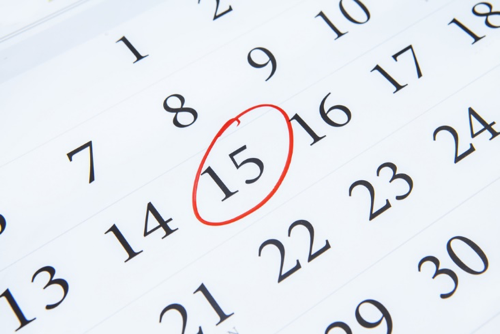 You can be generous with your due dates, but they need to be clear and final. Don’t worry about what other people might think or how they might respond when you’re drilling a due date out of them – this is one of the few situations where, regardless of their initial response, people will end up appreciating assertiveness and efficiency over “being nice”. Get things done asap instead of letting them sit. Clear your inbox. Have one organizer and check it regularly. Split your tasks into chunks and tackle them one at a time. Have an effective organizing system that lets you do this easily (personally I recommend Asana). Avoid the slippery slope of ambiguity at all costs. Set due dates. Always. Stay tuned for part 2, where I’ll explain how you can boost your self-awareness to recognize signs of decision fatigue! Craving more tips on homeworks and study skills? Read more on the articles below!